gifts for her, for him, for kids & for home! The most magical time of the year is arriving. It’s Christmas! Here at Design Hunger we adore giving presents to our loved ones, so we decided to make a selection of design and pastel gifts to get you inspired for your Xmas shopping session. Our feminine selection includes fashion items, gadgets and lots more! It goes through known brands like Gucci and Anthropologie, design stars such as Not-Another-Bill and Kreafunk, and some of our much loved independent designers. Check below how beautiful this pastel presents are! All the cool bags in Iridescence’s Pink Collection. The amazingly chic Champagne set by Not-Another-Bill. Elegant pink Agia Earrings done by Elise Tsikis and sold at Smallable. 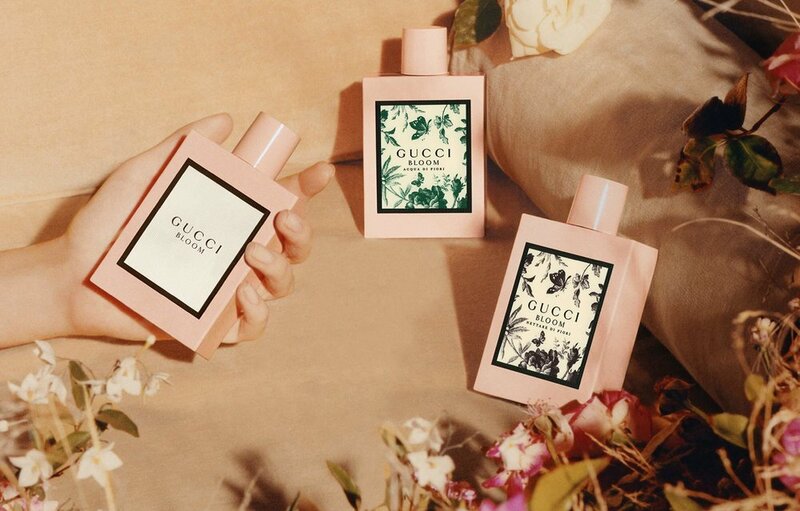 The marvelous Bloom fragrances from Gucci. Sunnies Specs’ glasses: vintage designs with contemporary colors and materials. Biodegradable scented candles by Northwick Wares. 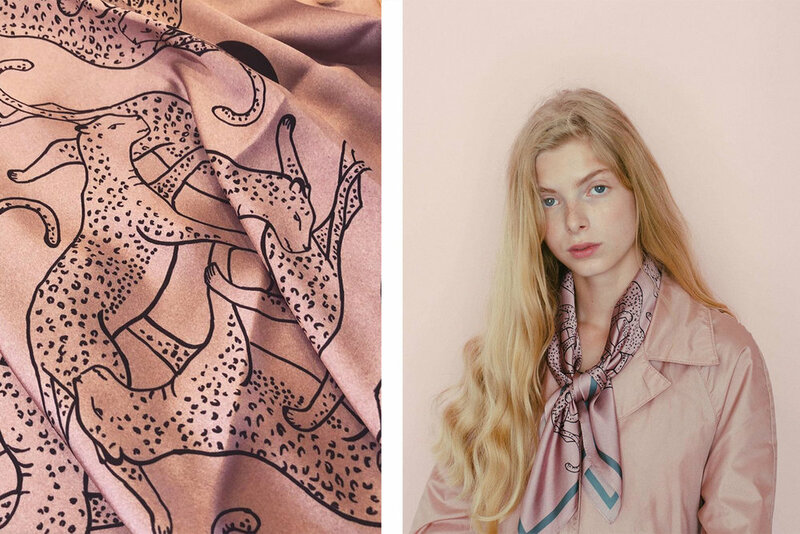 Young and sophisticated Baby Panther scarf, by KOPI. 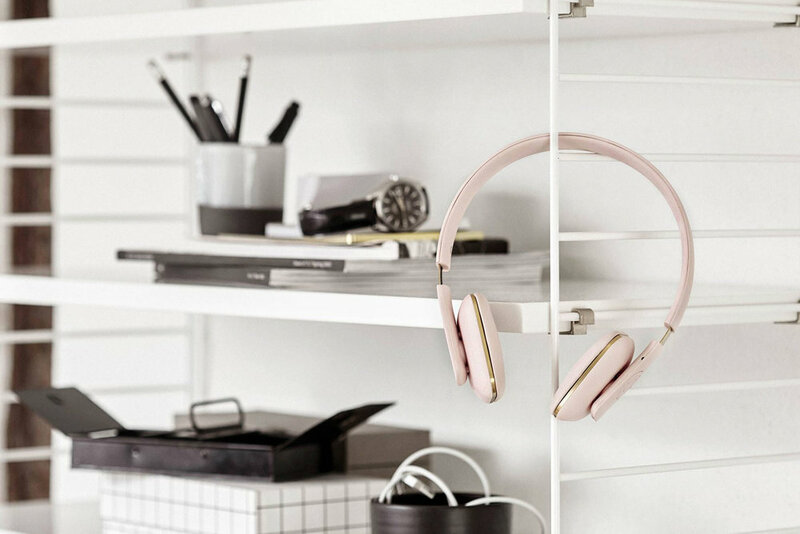 Minimal pastel pink aHEAD headphones from Kreafunk. The fun personalized Monogram Journal by Anthropologie. Beautiful and cozy oversized Wool Scarf by & Other Stories. 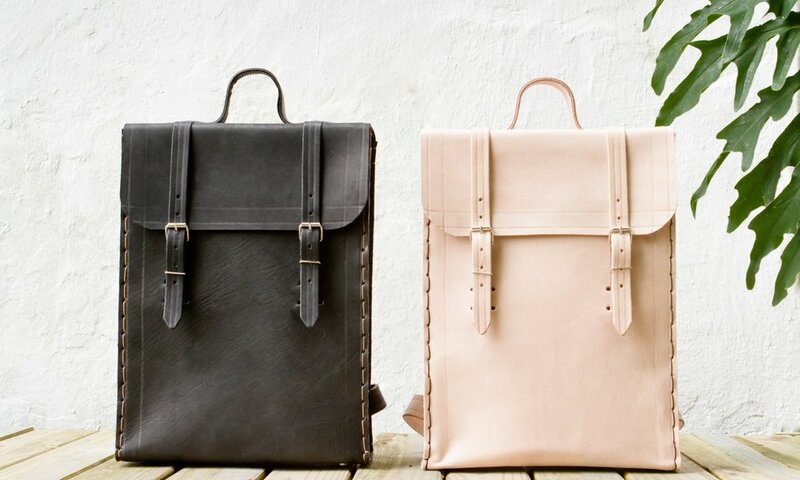 The handmade leather backpacks from independent designer Laura Pereira. Giving presents to men can be a real challenge if you want to step out of the old ties-and-socks box. Well, not anymore! Our selection of gifts goes from books to cocktail sets and passes through fashion and gadgets too. With brands like OFFWHITE, Crosley and Oliver Peoples, you have here a high-quality group of products to present any guy! Classy rose gold cocktail set by Not-Another-Bill. 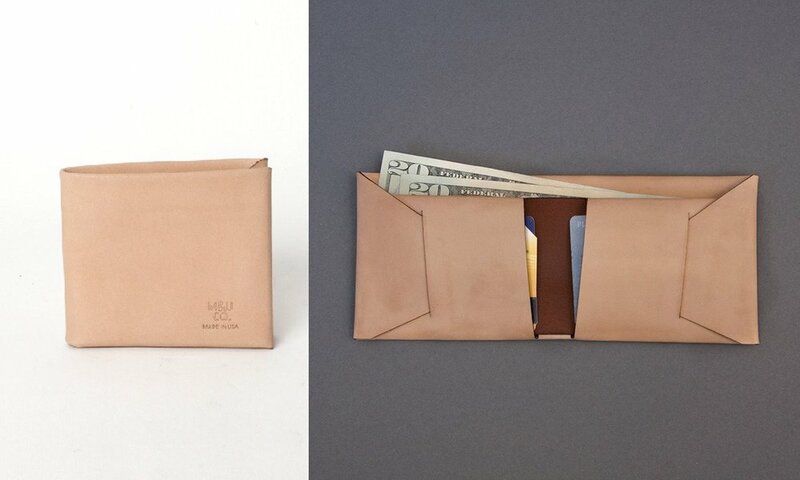 The stitch-less Bifold wallet, handcrafted by MAXX&UNICORN CO. Cool and handy Sneaker Cleaning Kit by Men’s Society. Nostalgic Cruiser Deluxe turntable by Crosley. The iconic pastel glasses of Oliver Peoples. 90’s inspired “White Black” jacket by OFF-WHITE. 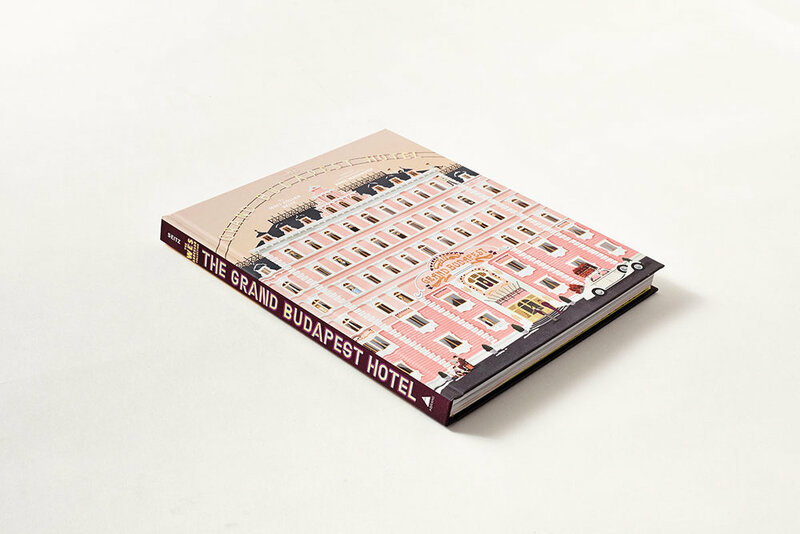 The Grand Budapest Hotel illustrated book, sold by Abrams Books. Light and durable Shaving Kit designed by Maapliim. 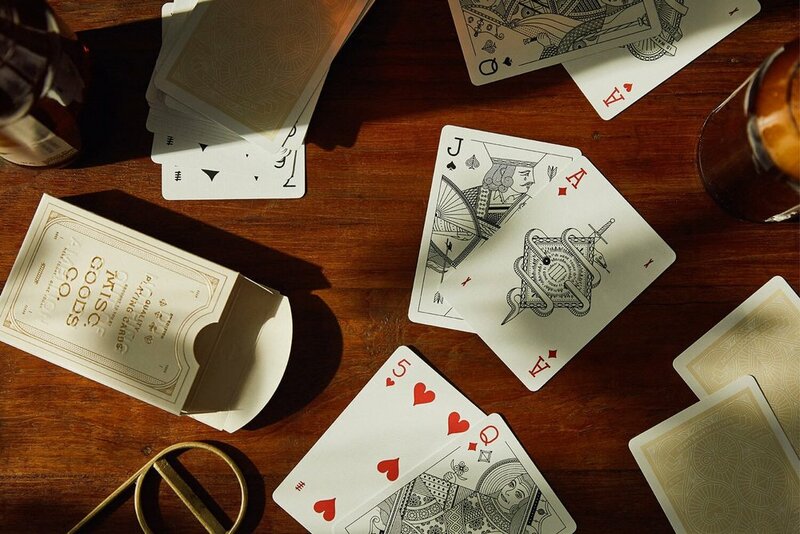 The impressionable Ivory Deck of Playing Cards by Misc Goods. 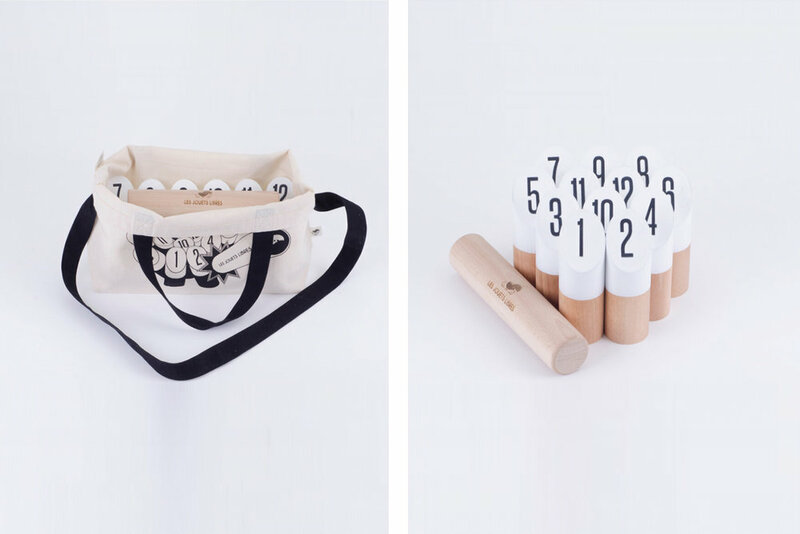 Minimalistic MOLKKY game designed by Les Jouets Libres. Of course we’ve made a selection for those who enjoy most all the Christmas magic and shine! Here you can find beautiful toys, playful furniture and more, for kids and babies. BOBO, NiceNiceNice and Moumout are just a few names included, with lots of space for new and upcoming designers. Check it out! It’s bowling time! With Nobodinoz’ minimal bowling set. 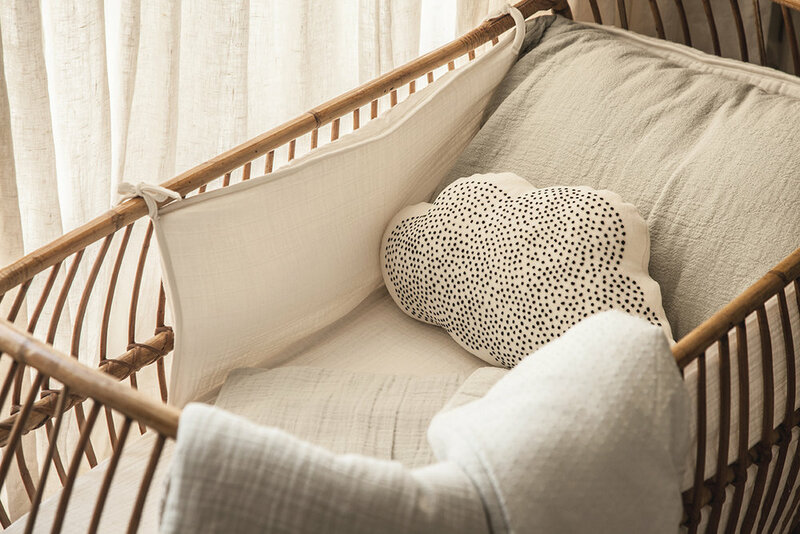 The cute-n-cozy handmade bed sets by Moumout. The cutest memory game ever, by Liewood. The cutest chair ever! Bambi Chair designed by Takeshi Sawada and sold by EO. A great toy for kid’s imagination! 40 Unit Blocks from Plan Toys. 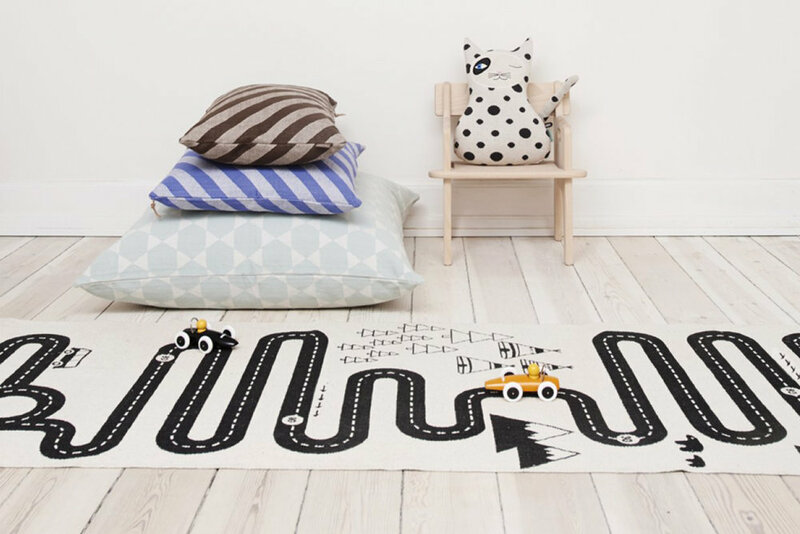 The playful Circuit Adventure rug, designed by OYOY and sold by Les Enfants du Design. 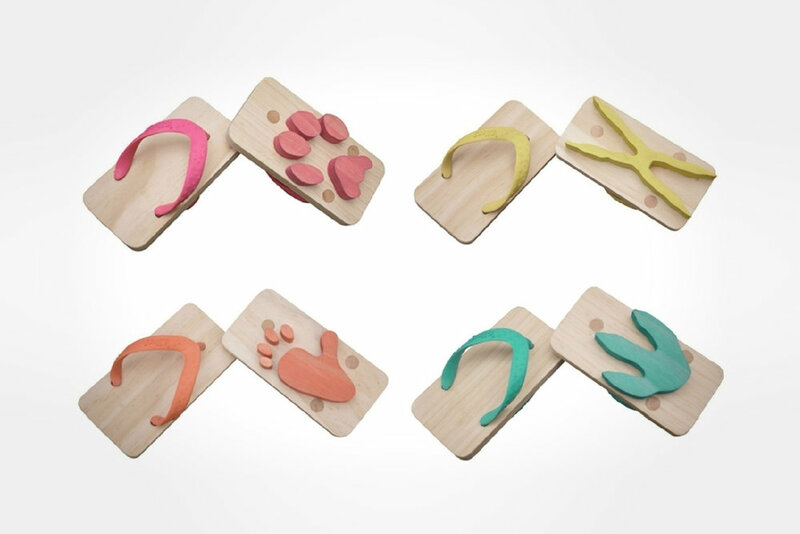 Beach time will never be the same with Ashiato sandals by Kiko Kids. The out-of-the-box rockers made of Bamboo and designed by Wobbel. The charming, handmade Balthazar stuffed toy sold by LUCKYBOYSUNDAY. The minimal set of wooden animals by Floris Hovers. 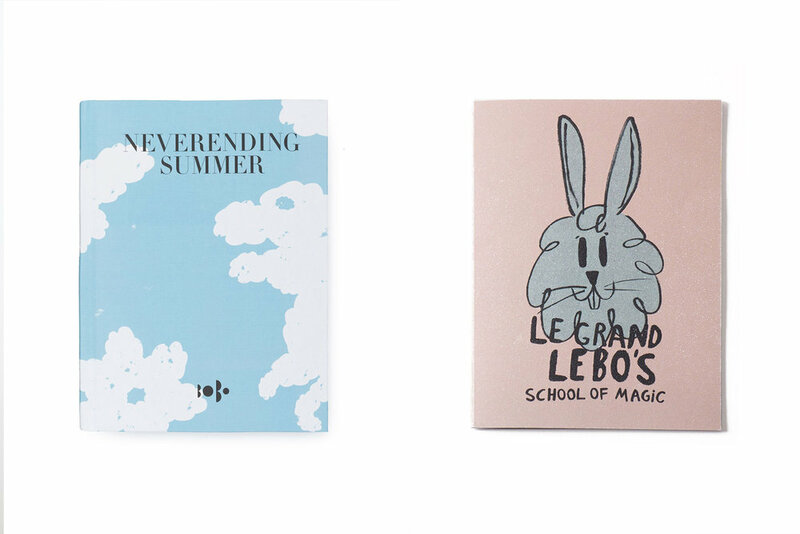 Pastel stories from the beautifully illustrated books of Bobo. 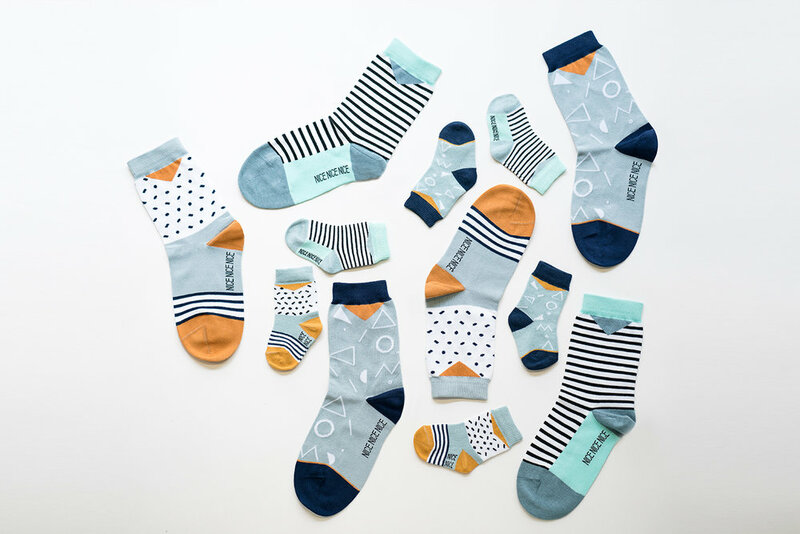 The fun, colorful and patterned socks by NiceNiceNice. The space we live in also deserves a little caress, right? And if you know someone moving to a new house, this could be the section to get you inspired! Here you will find furniture and decoration items able to bring a new life to any place, from brands like HAY, Slowdown Studio and Cold Picnic. Super modern Slim Bench, designed by Daniel Coutinho and sold at Boobam. 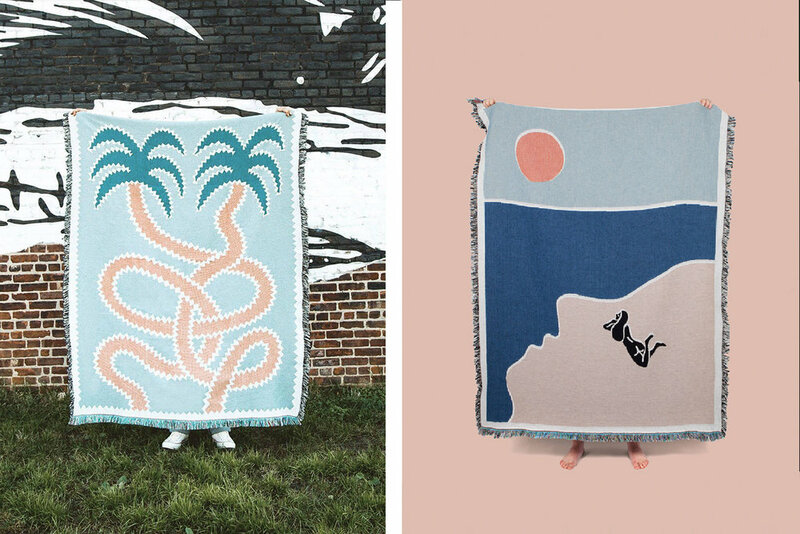 Some artist-designed woven blankets by Slowdown . 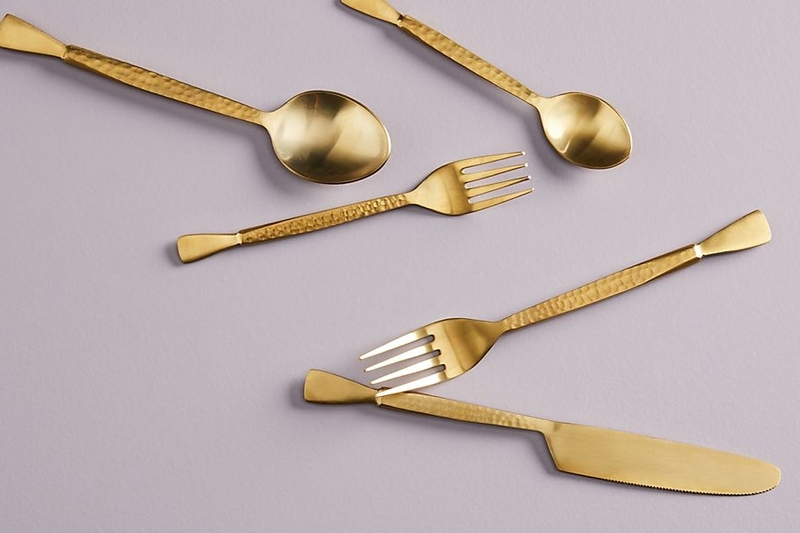 The shinny Hammered Golden Flatware by Anthropologie. 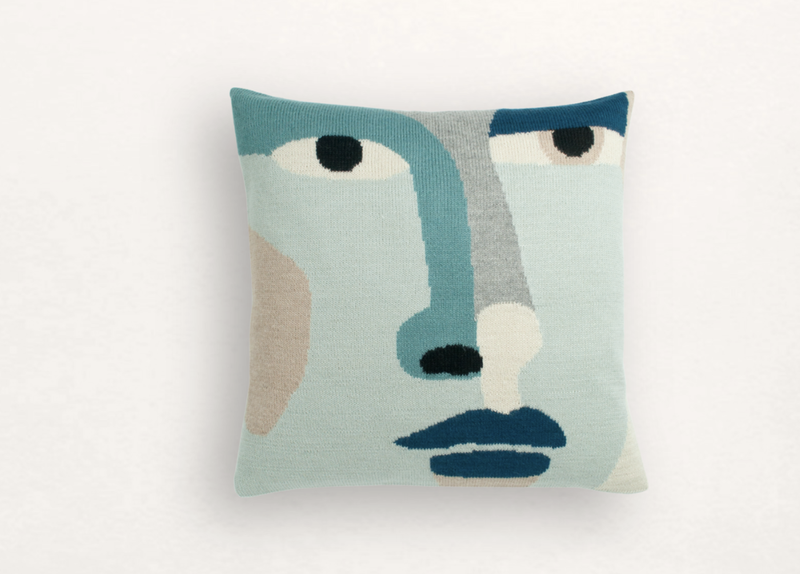 Eye-catching Look Now pillow case by LUCKYBOYSUNDAY. 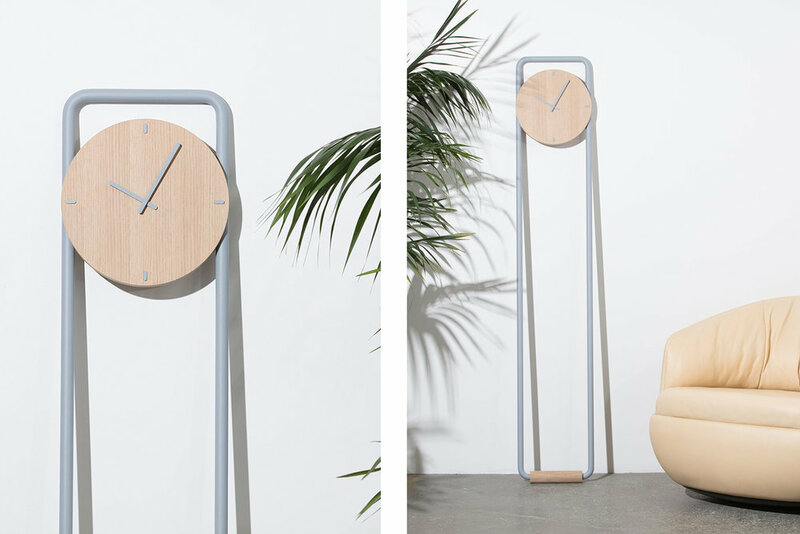 Super elegant and modern Henry Clock by Most Modest. 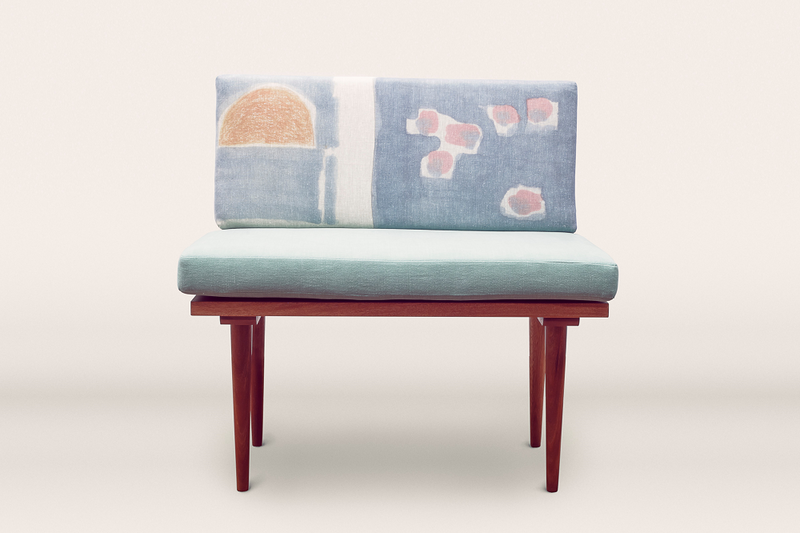 The comfy Blue Graphic Chair by The Collection Studio. 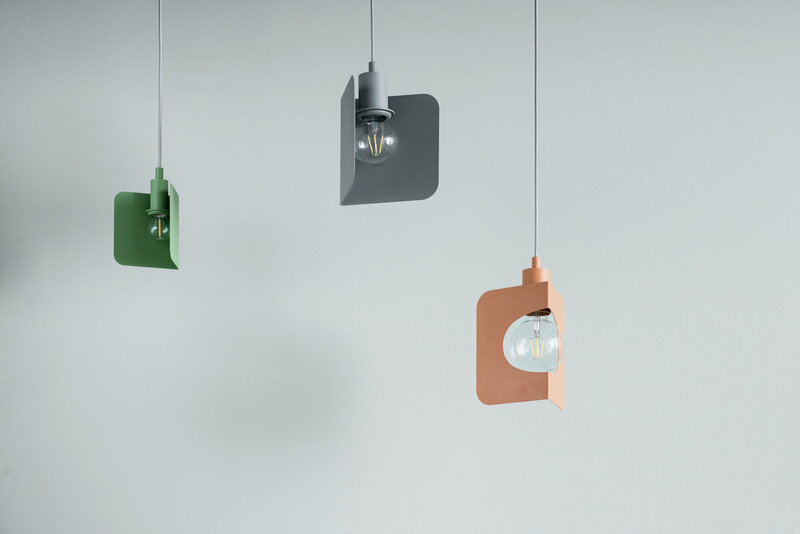 Bring the corners of your house some light and color with the Corner Pendant Lamp by The Fild. 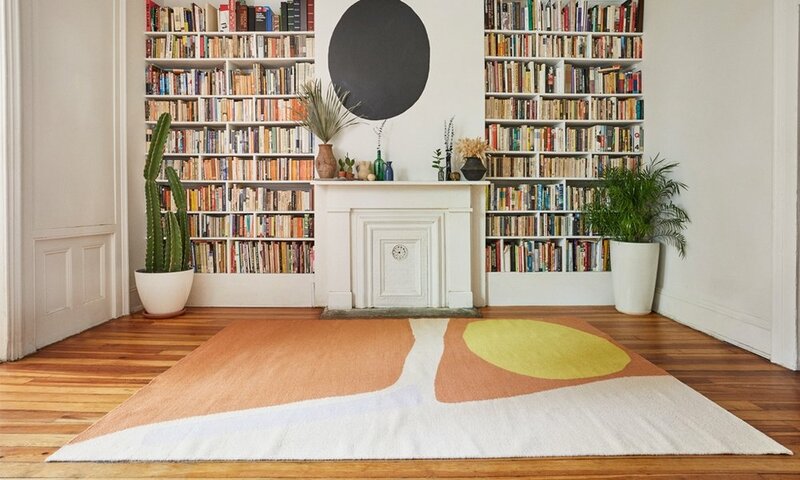 The contemporary-looking Desert Companion rug, by Cold Picnic. A beautiful Botanical Family: a set of brass and ceramic plant pots by HAY. 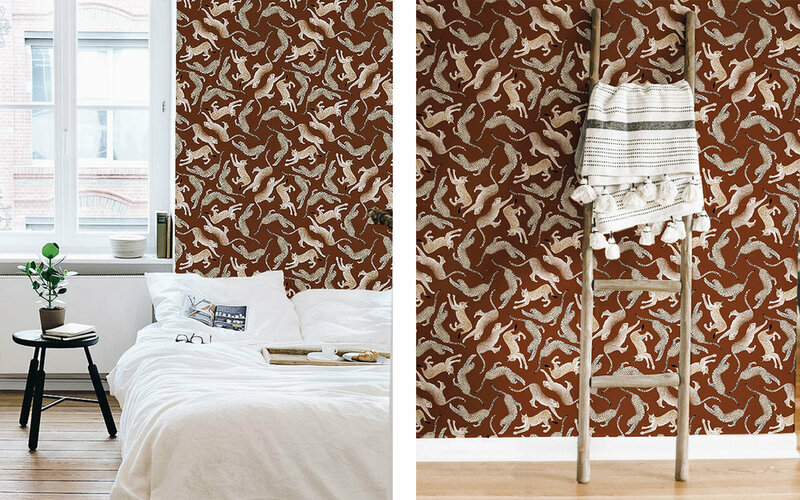 For walls with personality! Félin 02 wallpaper by Maison Baluchon. If you enjoyed this article, you should check out our article about Christmas Decoration.